Preference and Litigation | Denver Bankruptcy Attorney - Jon B. Clarke, P.C. 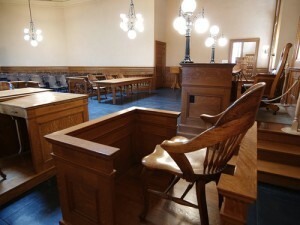 When disputes cannot be settled, Denver bankruptcy attorney Jon B. Clarke will refer the case to an experienced bankruptcy litigator. Business owners receiving payments within 90 days of the payor’s bankruptcy filing may find themselves the recipient of a letter (up to two years later), demanding such payments be returned. The trustee of the bankrupt business claims the payments were “preferential” under the Bankruptcy Code and unfair to other similarly-situated vendors who were paid less or not paid at all. Likewise, investors receiving their funds back within one year of a hedge-fund investment advisor’s bankruptcy filing may find themselves the recipient of a letter (up to two years later) demanding such funds be returned. The investment advisor’s trustee claims the refund was “fraudulent” under the Bankruptcy Code and part of a “Ponzi Scheme” to defraud other investors and the investment advisor’s creditors. If the trustee’s letter demand (or Complaint) is ignored, a default judgment may enter against the preferred creditor in an amount sufficient to seriously impair, or even terminate, the preferred creditor’s business. Such a default judgment could possibly force a Ponzi-Scheme investor’s personal bankruptcy. Attorney Jon Clarke has represented numerous preferred creditors and hedge-fund investors. He’s experienced in raising defenses to, and ultimately settling, preference and fraudulent-conveyance recovery suits. Consumer debtors may need to defend or settle adversary proceedings brought by creditors to have their debts declared non-dischargeable or to deny the debtor a discharge altogether. Chapter 7 trustees may bring contested matters to compel debtors or their relatives to turn over property or deny claimed exemptions. Attorney Jon Clarke is experienced in resolving these types of disputes short of all-or-nothing litigation. In the rare instance this type of dispute cannot be settled, Denver bankruptcy attorney Jon B. Clarke will refer the matter to an experienced bankruptcy litigator to defend the debtor(s) or investor(s) at trial.